The Film Independent Spirit Awards are the premier awards event for the independent film community. The Spirit Awards takes place annually in a beachfront tent next to the world-famous Santa Monica Pier in Los Angeles and brings together Hollywood A-listers and talent from throughout the independent film world. As one of the 2017 premier sponsors, Jeep worked with Centigrade to develop a unique activation which complemented the 32nd year of this party on the beach. 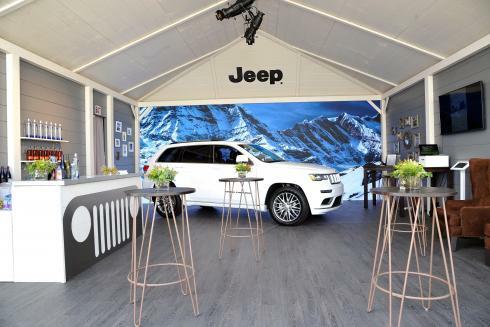 Given the location of the awards Centigrade created the Jeep Beach House. The authentic timber framed property included a 30’ x 12’ video wall representing a picture window to the world showing images of the environments the Jeep Cherokee might be found in. 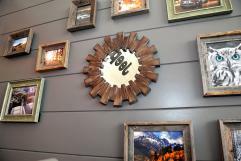 An artist added embellishments to the images throughout the day to enhance the vision of Jeep Cherokee destinations. The Beach House was built from the ground up in just over five days. After walking the red carpet, which is in fact blue for the Spirit Awards, guests mingled with industry peers while enjoying a well-stocked bar, waiter served canapés and a photo activation where they could instantly post pictures from the Jeep Beach House onto social media. Centigrade worked closely with the Spirit Awards producers to ensure the Beach House delivered an experience and atmosphere in keeping with the relaxed and fun nature of the day.